Our hill tribe trek is a true life experience in Thailand. Traveling in small groups (usually 2-6 people) to satisfy low impact eco tourism and the hill tribe village way of life, we learn about & explore rural life within the hill tribe communities. The highlight for this eco trek is to learn about hill tribe culture and the beauty of nature, with home-stay with a hill tribe family, camping, caving, wading up rivers, and learn how to cook in the jungle. The style of the trek is more basic than the commercialized bamboo rafting/elephant ride/hill tribe trekking offered in Chiang Mai province, but the experience is both authentic and memorable. 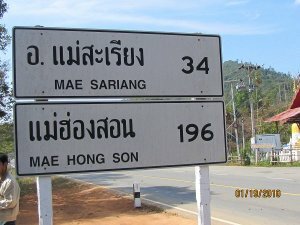 7:00 am: Depart Chiang Mai in a southerly direction on route 108. Shop in the market for some basic supplies, including selected poultry & meats, herbs, sauces, water and candles. Turn off the highway to stop at a local Karen eatery for lunch. After lunch, stretch your legs with a 3 hour hike. We will visit a Karen village near to the hiking area and then later continue on to the Poe-Karen village where you will homestay with a host family. You will be introduced to some of our friends and have the opportunity to wander around the village. Dinner will be prepared and if you wish to cook with our guide then you can participate. We also participate in a local tree planting project to replenish the forest (during June to August only). After breakfast, spend a relaxing time with the Poe- Karen people; getting to know them and their traditional ways. Enjoy a 4 hour hike to our private campsite near the river. Learn jungle cooking and jungle survival skills (how to survive on Poe- Karen rice grown around the village, cooked in bamboo, and how to prepare herbal tea using herbs sourced from the jungle). After breakfast, we wade up the Mao Hoo river for 1 hour passing idyllic scenery along the way. When we reach the amazing Bat cave, we explore the cave for half an hour (the Bat cave is 150 metres long). This is followed by a 1 hour hike up to a different local Sgow Karen village where we will eat lunch. On the way home, we stop at Mae Chem river where you can swim and refresh (except Jun-Oct). We arrive back in Chiang Mai at approx. 6:30-7:00 pm. 6:45 am: Depart Chiang Mai in a southerly direction on route 108. Shop in the market for some supplies and be introduced to Thai herbs & cooking ingredients. Turn off the highway to stop at a local Karen eatery for lunch. After lunch, stretch your legs with a 3 hour hike to the Poe Karen village where you will homestay with host family. You will be introduced to some of our local friends and have the opportunity to wander around the village. We also participate in a local tree planting project to replenish the forest (during June to August only). After breakfast, we hike for 1 hour down to Mae Hoo river. Enjoy wading up the river for 2 hours passing idyllic scenery along the way. When we reach the amazing Bat cave, we explore the cave for half an hour (the Bat cave is 150 meters long). This is followed by a 1 hour hike up to a local Karen village where we eat lunch. Advice hiking shoes or trainer shoes, good water sandals like TEEVAA or Cross for wade through streams and river on second of the trek. For those who prefer a better sleep during the trek we would like to advice you to bring your own air mattress and trekking during December - February please bring down jacket causes our sleeping bag not warm enough or bring your own with.